Al Eureka, an independent Education-Knowledge Centre in Libya and a division in The Netherlands, where there is cooperation in various areas within education and development. A centre whose basic principle is that knowledge is about awareness. The awareness that knowledge is about recognizing differences, diversities. The realization that the diversity of society, a powerful society, is of value for the future. Al Eureka shall promote and provide information about various ‘potential’ parties. Parties include education, universities and students, but also enterprise and government. Its principle is to form connections between ‘partners’. 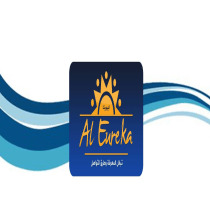 As a ‘partner’ of Al Eureka they consult with the centre for advice in the area of education and/or development. The Al Eureka motto is: “Knowledge share and connect!” Knowledge share and connect: where trust grows, where there are opportunities to stimulate growth and development in the area of knowledge of/for people, organizations, countries and society. In order to provide good advice/support Al Eureka shall not immediately react to the first demand but look jointly at the basis (awareness) of the demand and at the desired purpose to be achieved. To that end, the centre shall offer the necessary practical guidance, by means of coaching and/or subsequent courses/training.